Zimbabwe will host UAE in the 4th and final One Day International on Tuesday at the Harare Sports Club. 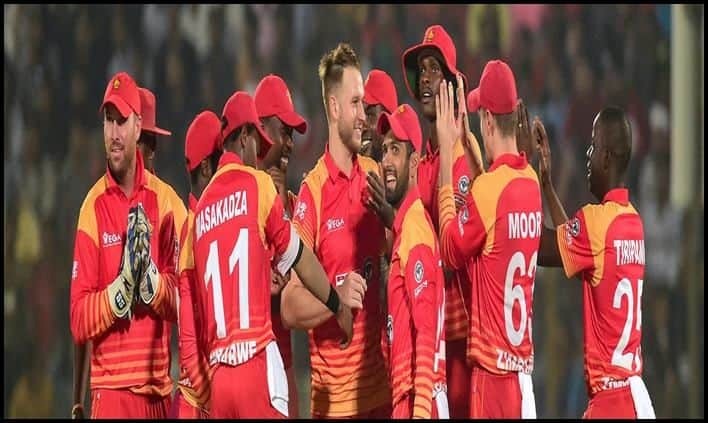 Zimbabwe vs UAE 4th and Final ODI Live Cricket Streaming Online: In a bid for a clean sweep, Zimbabwe will host UAE for the 4th and final One Day International of the ongoing series at the Harare Sports Club on Tuesday. For most of the series, it is the hosts who have displayed a dominant performance, while the visitors have failed to make a comeback. batsman Sean Williams has been in top form as he registered the fastest ODI hundred by a Zimbabwe batsman in the third ODI, reaching the three-figure mark in just 75 balls. He will aim to emulate the form in the final match of the series. The visitors will aim to pull one back in their final outing on 16th April. According to ICC, the weather forecast does not look bright for Tuesday, with scattered thunderstorms predicted right from toss time. The Harare surface has been conducive to pacers so far – three of the top four wicket-takers are all fast bowlers. When to watch Zimbabwe vs United Arab Emirates 4th ODI cricket match? The Zimbabwe vs United Arab Emirates 4th ODI will take place on April 16th, 2019 (Tuesday) at 1:00 PM IST. Where will the Zimbabwe vs United Arab Emirates 4th ODI match take place? The match between Zimbabwe vs United Arab Emirates 4th ODI cricket match will take place at the Harare Sports Club. Which TV channel will broadcast Zimbabwe vs United Arab Emirates 4th ODI cricket match? Star Sports has the broadcasting rights for the Zimbabwe vs United Arab Emirates 4th ODI match. Where to watch the Zimbabwe vs United Arab Emirates 4th ODI cricket match? The Zimbabwe vs United Arab Emirates 4th ODI cricket match will be available on Hotstar.